When the Taliban took control of the Swat Valley, one girl spoke out. Malala Yousafzai refused to be silenced and fought for her right to an education. On Tuesday 9 October 2012, she almost paid the ultimate price. Shot in the head at point blank range while riding the bus home from school, few expected her to survive. Instead, Malala's miraculous recovery has taken her on an extraordinary journey from a remote valley in Northern Pakistan to the halls of the United Nations in New York. 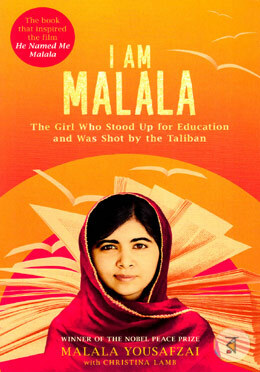 At sixteen, she has become a global symbol of peaceful protest and the youngest ever nominee for the Nobel Peace Prize. I Am Malala is the remarkable tale of a family uprooted by global terrorism of the fight for girls education and of Malala's parents fierce love for their daughter in a society that prizes sons. It will make you believe in the power of one person's voice to inspire change in the world. Malala Yousafzai, the educational campaigner from Swat Valley, Pakistan, came to public attention by writing for BBC Urdu about life under the Taliban. Using the pen name Gul Makai, she often spoke about her family's fight for girls education in her community. In October 2012 Malala was targeted by the Taliban and shot in the head as she was returning from school on a bus. She miraculously survived and continues her campaign for education. In recognition of her courage and advocacy, Malala was honoured with the National Peace Prize in Pakistan in 2011 and nominated for the International Children's Peace Prize in the same year. She is the youngest ever person nominated for a Nobel Peace Prize. She was shortlisted for Time Magazine Person of the Year and has received numerous other awards. Malala continues to champion universal access to education through The Malala Fund, a non-profit organization investing in community led education programs and supporting education advocates around the world. Christina Lamb is one of the world's leading foreign correspondents. She has reported on Pakistan and Afghanistan since 1987. Educated at Oxford and Harvard, she is the author of five books and has won a string of awards, including Britain's Foreign Correspondent of the Year five times as well as the Prix Bayeux, Europe's most prestigious award for war correspondents. She currently works for the Sunday Times and lives between London and Portugal with her husband and son.